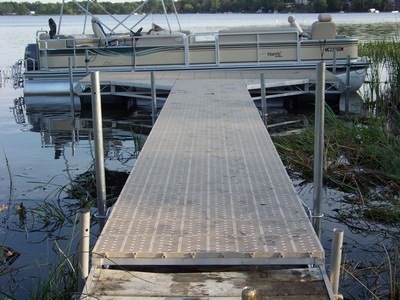 HD Series - Aluminum Truss Dock with Thru Flow® Vinyl Decking. 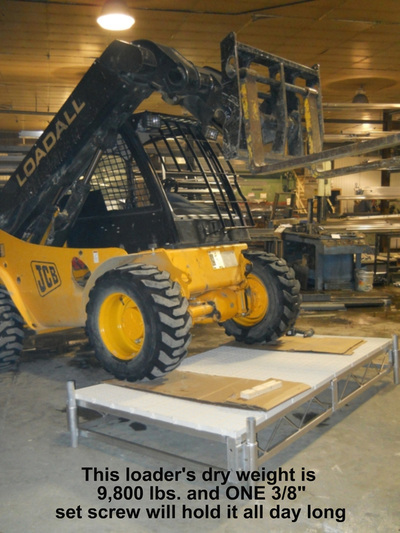 Commercial quality stationary, floating, and rolling docks. 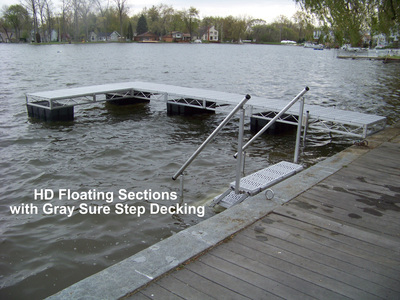 HD Series docks are available with with Anodized Aluminum decking or Premium Sure Step® decking in three color choices, gray, tan, and white. 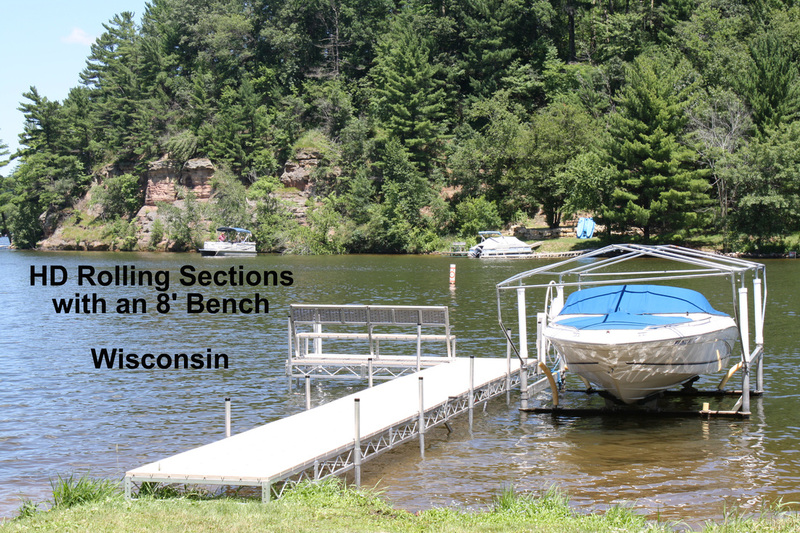 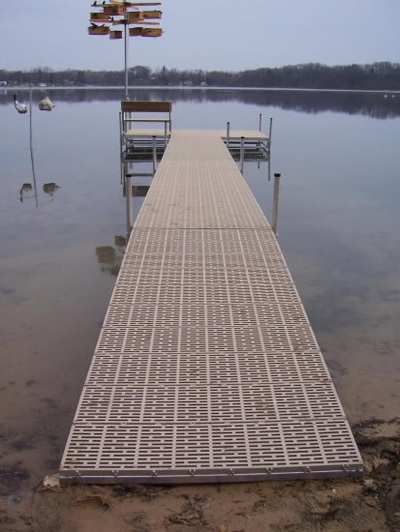 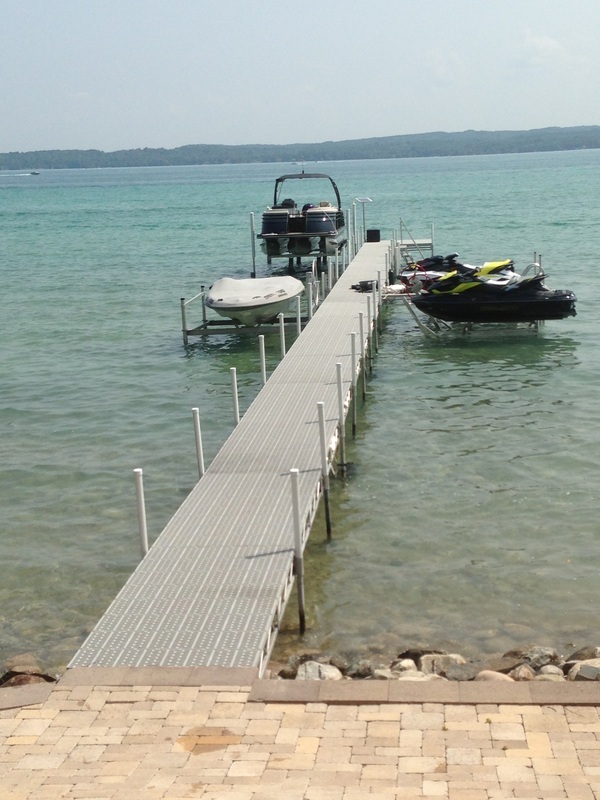 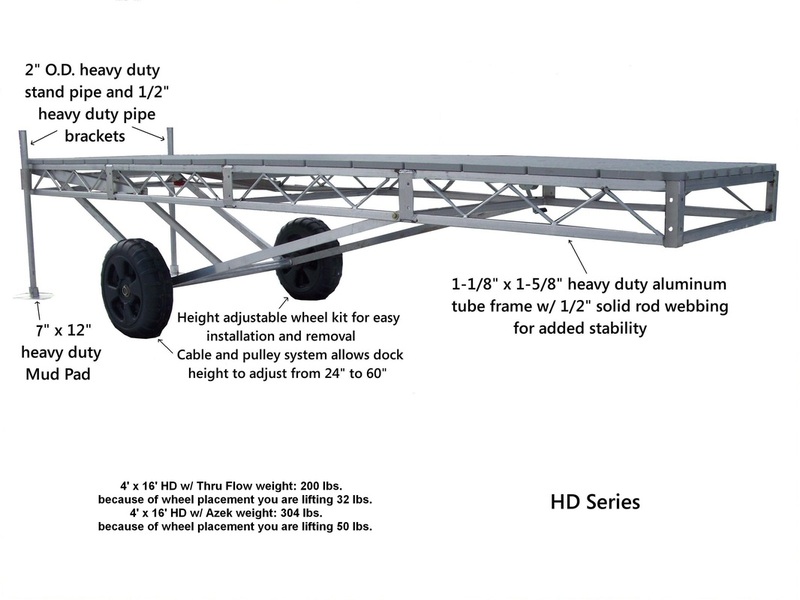 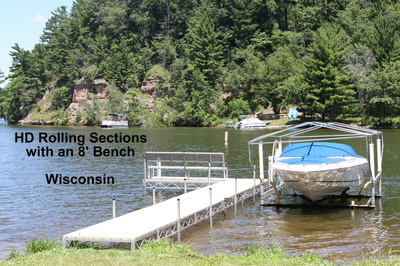 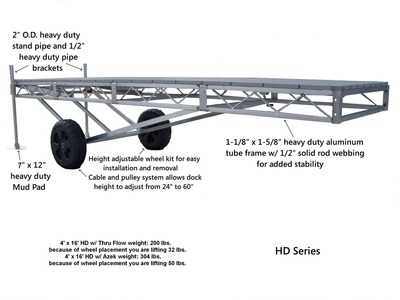 They also include two 6' heavy duty stand pipe every 8' or 16' of dock, heavy duty pipe brackets, two mud pads, and all hardware necessary to install the docks (see: Dock Accessories). 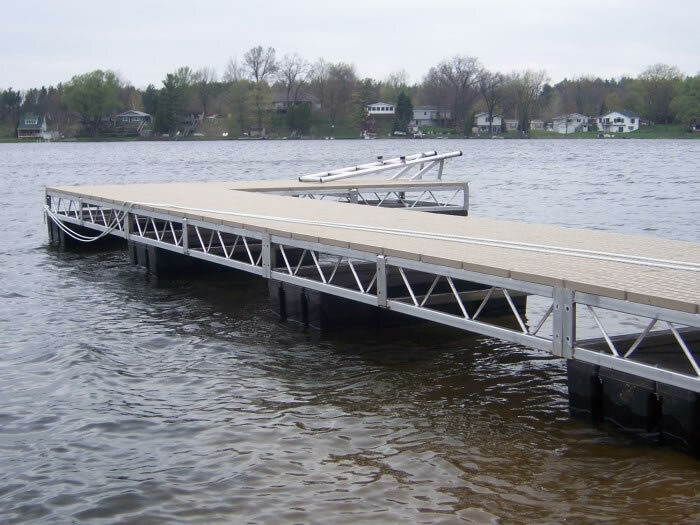 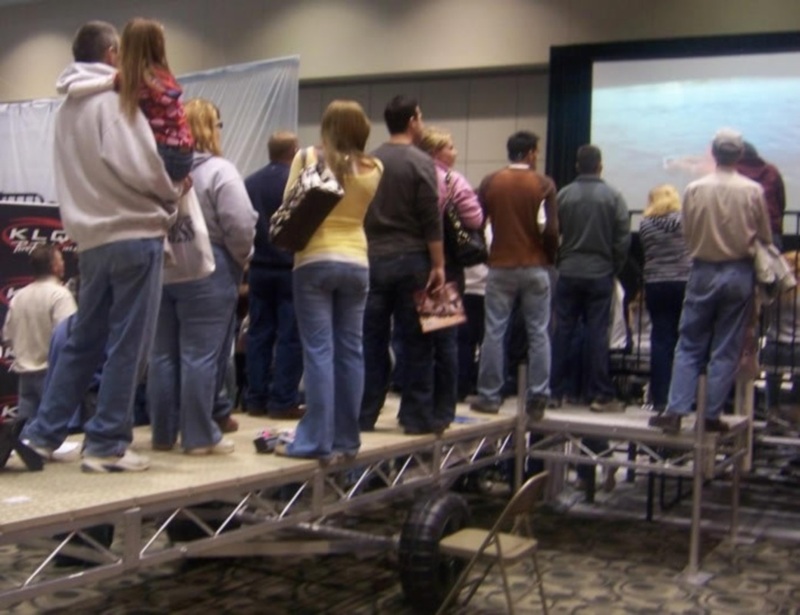 The docks can be configured in many shapes. 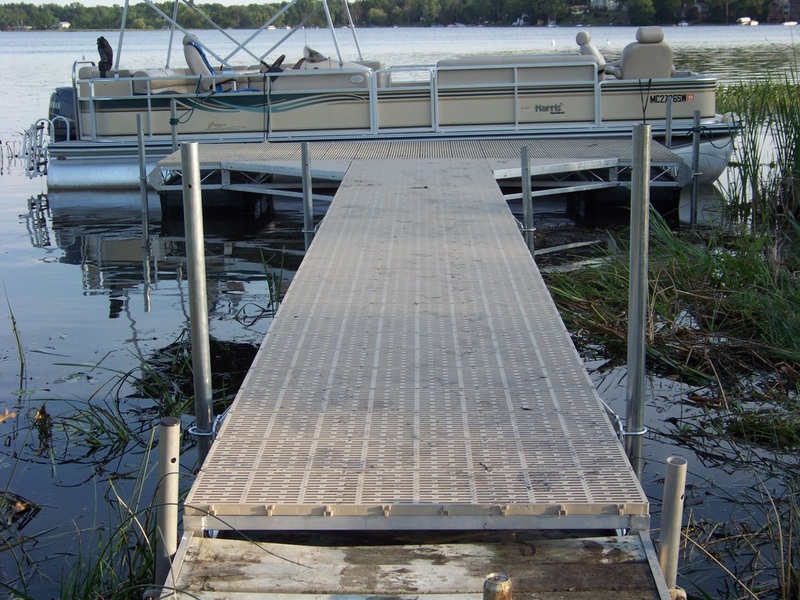 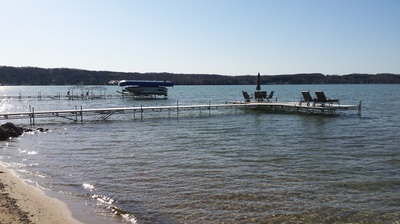 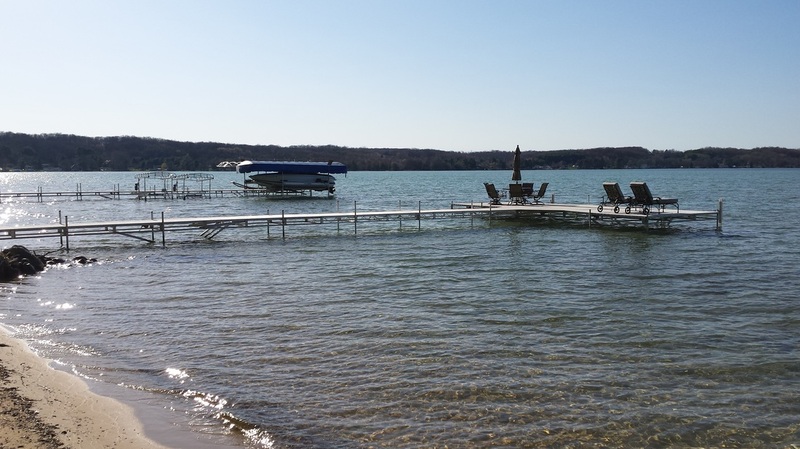 Our commercial quality docks work great for association and large water projects. 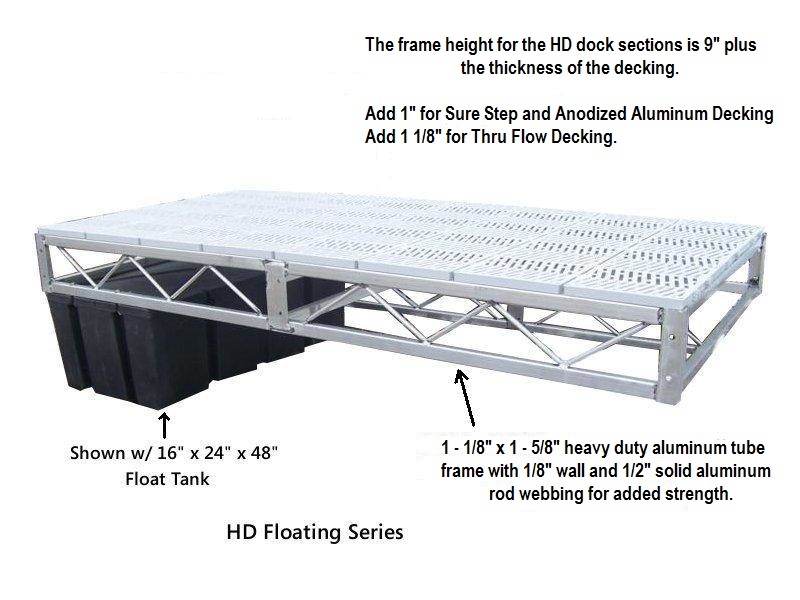 Our HD Series Commercial Quality Docks are made with heavy duty 1 1/8" x 1 5/8" rectangle tube frame with heavy duty webbing for improved strength over any competitors' product.